The Switzer Dividend Growth Fund (SWTZ) aims to provide investors with tax effective income and long term capital growth by investing in a core portfolio of blue-chip Australian shares. The portfolio is managed to deliver capital growth, while providing investors with an attractive income stream paid quarterly that is franked to the maximum possible extent. The Fund is a simple to use, low cost vehicle that gives investors access to some of the most experienced investment professionals in Australia such as Peter Switzer, Charlie Aitken and Paul Rickard. Investors can access the fund through one easy trade on the ASX using the ticker code SWTZ. To deliver long-term capital growth. Thank you for your interest in Switzer Dividend Growth Fund. You can download a copy of the PDS by clicking the link below. We have also sent this to you in an email. Please check your promotions or junk folder if it doesn't appear. Many investors feel they need to sacrifice capital gains in order to generate any substantial income, however that isn't the case. Often, companies that pay dividends also offer steady capital gains opportunities. 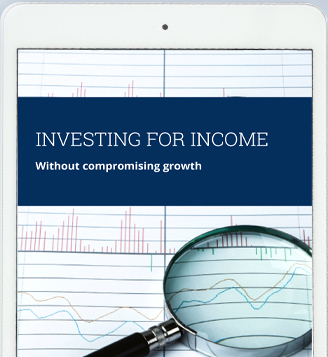 This eBook explains everything you need to know about building a high quality income portfolio, without sacrificing capital growth. * Yield calculation based on distributions paid during the 12-months to 29 March 2018 relative to the closing unit price of $2.47 at the beginning of the period. Data at 31 March 2019. Value of $100 invested in the Switzer Dividend Growth Fund. Assumes all distributions reinvested. Data as at 31 March 2019. View daily Net Asset Value here. Performance to 31 March 2019. Inception date 22 February 2017. At Switzer Asset Management our investment team has an effective and disciplined investment process based on a philosophy that economic conditions drive stock and sector performance. Our process is a combination of top-down and bottom-up analysis enabling the team to add value at both the stock and sector level. The process starts with the economics team’s analysis and forecasts. Here the team outlines the likely path of key economic and financial market variables over the next 12 months. The next step is to convert these economic insights into investible sector recommendations. Switzer Asset Management has access to a proprietary system that group stocks and industries into ‘Super Sectors’ by their key economic drivers. This is a key part of the process and helps to facilitate the economic insights into investable recommendations. Once positions have been finalised, it is then the job of the equity analysts to populate those sector positions with their preferred stocks. The equity team undertakes rigorous research and modelling of all companies it intends to invest in. These models are integrated into financial statements with forecasts of at least three years. Finally, once the Super Sector and stock positions have been finalised, the team constructs a final portfolio with consideration for overall risk and specific portfolios objectives. The Fund has been designed to meet the needs of SMSF investors and others looking for reliable, tax effective income with the potential for long term capital growth. The Fund expects that distributions will be franked to the maximum extent possible. 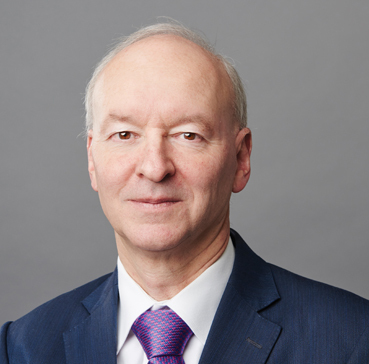 The portfolio will be managed by an Investment Committee comprising Peter Switzer, Charlie Aitken and Paul Rickard, which is supported by the team at Contango Asset Management. Investors can buy and sell Units on the ASX through a stockbroker or share trading account quickly and easily. Investors will also be able to see the prices at which other investors are prepared to exchange Units. The Fund’s Net Asset Value (NAV) per Unit will be published on this Website daily. Management fee is just 0.89% p.a. including GST. The Management Fee covers the management of the Fund and its assets, and Fund outgoings including administration, accounting, audit and registry fees and expenses. There are no performance, establishment or contribution fees. Investors may incur brokerage costs in purchasing or selling units on the ASX. The Fund will be investing in companies that have desirable dividend streams and the capability to grow theses dividend streams, and which are either fully or highly franked. Additionally, the Fund will pay distributions on a quarterly basis. is a joint venture between Switzer Financial Group and Contango Asset Management. Peter is one of Australia’s leading business and financial commentators, launching his own business more than 30 years ago. The Switzer Group has since grown into three successful companies spanning media and publishing, financial services and business coaching. Peter is an award-winning broadcaster, twice runner up for the Best Current Affairs Commentator award for radio and was a long term contributor to The Australian and Daily Telegraph. A former academic Economist at the University of NSW, Peter is currently founder and contributor to the Switzer Super Report, an investment newsletter for self-directed investors; contributor to Switzer Daily, a leading business, finance and political commentary website; host of his own TV show, SWITZER, on the Sky News Business Channel; a weekly columnist for Yahoo7! Finance; and a finance commentator on the Macquarie Radio Network. 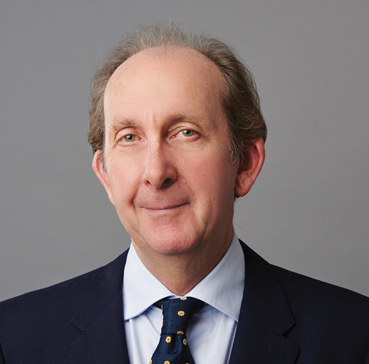 Paul has over 26 years’ experience as a senior executive within the Financial Services sector. His various roles include almost 20 years with the Commonwealth Bank, most notably as the founding Managing Director of CommSec, which he led from 1994 to 2002 and later Chaired until 2009. During this time he was awarded Australian ‘Stockbroker of the Year’ in 2005. Mr Rickard was also a Director of numerous other Bank subsidiaries, and joined the Board of Halidon Asset Management in September 2009. Paul is also a Non-executive Director of Tyro Payments Ltd, Property Exchange Australia Ltd and Switzer Financial Group Pty Ltd.
Charlie has more than 22 years of equity and futures market experience. He was the author of the “Ringing the Bell” newsletter and the “Under the Southern Cross” newsletter, and is an expert contributor to the Switzer Super Report. He appears frequently on Australian and global financial media as an expert on Australian equities and global macroeconomic strategy. 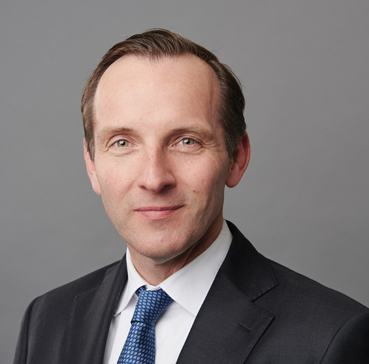 Charlie’s career experience includes being a Director and Head of Sydney Sales Trading for Citigroup, Executive Director and Partner of Southern Cross Equities and Executive Director and Board Member of the ASX listed Bell Financial Group. He is best known for his high conviction, top down and bottom up investment ideas formulated from consistently meeting with listed and unlisted companies, policymakers and regulators. The Fund will be investing in companies that have desirable dividend streams and the capability to grow these dividend streams, and which are fully franked or close to being fully franked. The fund will aim to maintain 80% - 99% invested in Australian shares and 1% - 20% in cash. The fund will typically invest in the largest 150 companies in Australia based on market capitalisation. How often is income paid? The fund expects to pay distributions quarterly, in January, April, July and October. They will be based on the Fund’s net income at the end of the distribution period, divided by the number of Units on issue. Details of the distributions, as well as when upcoming distributions are expected to be paid, can be found under the 'Distribution History' tab of the 'Key Fund Info' section of this page. The Fund pays a Management Fee of 0.89% p.a. (including GST) to the Responsible Entity. The Management Fee covers the management of the Fund and its assets, and Fund outgoings including administration, accounting, audit and registry fees and expenses. There are no performance, establishment or contribution fees. Investors may incur brokerage costs in purchasing or selling Units on the ASX. How does the fund select investments? The Fund intends to invest in a portfolio of quality, high-yielding listed Australian shares with an emphasis on companies that are paying fully franked dividends and which are expected to grow these dividends over time. The Responsible Entity intends to use a ‘top down business cycle’ approach, where the research effort focuses on forecasting future domestic and global economic conditions and assessing their impact on the performance of sectors and stocks. These relationships are used to guide decision-making as to the size, allocation to cash and the sector biases within the Fund's investment portfolio. The top-down approach is complemented by a disciplined 'bottom up' stock selection process, which involves quantitative and qualitative fundamental analysis in respect of each of the stocks identified for potential investment. When constructing a diversified portfolio, the Responsible Entity also considers the Fund portfolio’s overall risk positions including stock, sector and thematic risks. How and when can I access my money? Holders can sell Units on the ASX market through a stockbroker or share trading account without completing any forms. Proceeds from any sale of Units will be delivered through the ASX CHESS settlement service. An investor’s exit price will be the price at which the Units were sold on the ASX AQUA market, less any brokerage fee that is incurred. Why do the number of units on issue change each month? You may notice that the number of units on issue in the Switzer Dividend Growth Fund often changes. This is because the fund is ‘open-ended’, meaning units can be created or ‘redeemed’ depending on investors wanting to join or exit the fund. The easiest way to understand how units are created or redeemed in the fund is to imagine SWTZ as a traditional, unlisted fund. In this example, if you invest $100, the fund manager will purchase more of the portfolio with the money you have invested and exchange your $100 for units in the fund. As such (assuming there are no other investments and the value of the units stays the same), the fund will grow by $100. Similarly, if you choose to sell your units the opposite will happen: the fund manager will sell your portion of the portfolio and return the proceeds to you by 'redeeming' the units, and the fund will contract by the value of the investment. This is what is referred to as an 'open-ended' fund: the number of units on issue can grow or decline based on the investments and redemptions that are being made. The Switzer Dividend Growth Fund works in essentially the same way, only the fund has been structured so that units can be conveniently bought and sold on the ASX, instead of having to fill out application and redemption forms like in an unlisted managed fund. iNAV stands for Indicative Net Asset Value. The Net Asset Value (NAV) is calculated by deducting all liabilities (including fees) from the total value of the Fund’s assets, and dividing this number by the number of Units on issue. During each ASX Trading Day, an indicative NAV (iNAV) is published to take into account any movement of the prices of those securities that comprise the Fund's investment portfolio. Will I receive a CHESS statement? Holders will receive a CHESS holding statement showing the numbers of Units that they own. Holders will receive an updated CHESS holding statement upon the occurrence of any changes to their holding. Investors can invest in the Fund by purchasing Units on the ASX Market through a stockbroker or share trading account. There is no minimum number of Units investors can buy on the ASX Market. The purchase of Units on-market is settled through the CHESS settlement service, and investors will not need to complete any application form. The cost of investing in the Fund on-market will be the price at which you purchase Units on the ASX Market, plus any brokerage fees you incur. Investors can purchase additional Units on the ASX Market at any time, through a stockbroker or share trading account.